The bespoke system for HHA uses the latest technology to measure tide, weather and wave conditions at Harwich and Felixstowe. It includes a modern and dynamic environmental monitoring system with dual telemetry to ensure that continuous real-time data is available to the Port for its 24/7 operational needs. The integrated system provided by OceanWise was designed to incorporate best in class sensors within a robust, weather-proof Valeport Tidestation. Housed within these tidal observation hubs are Valeport TideMaster tide gauges fitted with vented pressure sensors or the water level VRS-20 radar level sensors and in some cases a Met Station from Gill Instruments. 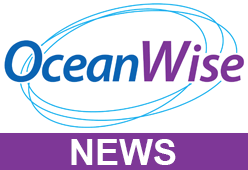 The data from the sensors within the TideStation is collected and transmitted via GPRS using OceanWise’s smart telemetry and is transmitted to OceanWise’s cloud-based data management and display system, Port-Log.net for storage and publication of information. Port-log.net provides fast access to the data, in a variety of displays, which can be viewed in real-time or historically on portable or fixed devices. The new environmental system provides HHA with continuous real-time tide and meteorological data instantly to assist in all operational aspects of the port aiding survey, dredging and vessel movement.